The first thing I will say is if you have pink or neutral undertones there is a much wider selection for you to choose from then olive skin, where there is only a few! – With all the foundations being so different in tone and texture it can be difficult to choose, after reading this if you want to give any a go I would definitely say pop into your nearest counter to get matched! This is by far my favourite of the bunch. Luminous, buildable and the colours are spot on for olive skin (for reference I’m about an NC40 in MAC and I used no40 in this) My skins quite dry and this foundation went on brilliantly. I also like the medium coverage which you can layer if need be. If you have pink or neutral undertones I would recommend going to get matched up, as there is only two colours for these tones. This is better for those who like a light coverage and is great for if your popping out, or in the summer when your skin is a bit more used to being out! 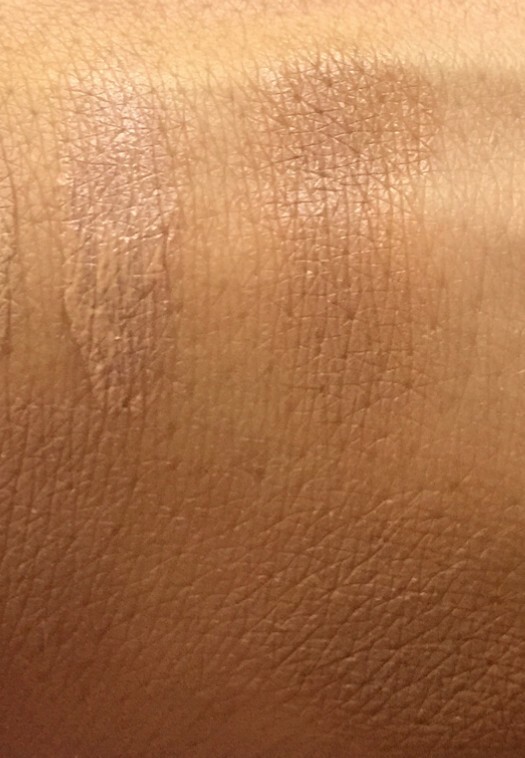 Again is luminous and not too dewey but for me I found it a little bit light for my ‘go to’ foundation but it definitely gets a seat in my light foundation group! The colours are a little bit more neutral which for my skin isn’t ideal but For anyone with neutral or pink tones this is great for you. This I loved, the colours again were much more olive based which is great for me, not so great for neutral or pink undertoners. 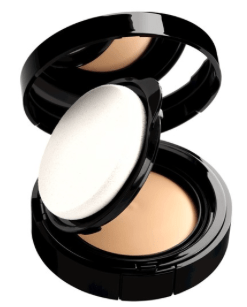 Its thicker and in a compact which at the minute is my fav thing – although I know this sometimes puts people off these foundations as they look solid, thick and heavy ( bit this is super blendable!) – Its still medium coverage but easily built up without cakeing. I would apply this with a beauty blender or a dense buff brush like the real techniques ones for the best ‘polished’ finish. For me, this was a no go. The colours are way too pink/neutral for my skin and the texture was too drying and clung to any unexfoliated skin. I looked pale, dehydrated and ill. However I have used this on other people with an oilier skin and and a pinker undertone and it looks great! It offers medium coverage, its long wearing and a matte skin finish. Again for me, this wasn’t great as the colours were a little off for me, but I have used this on other people and its looked great the same as its non-velvetized counterpart. The coverage is lighter than perfection lumiere and has a slightly more matte velvet smooth finish. The colours in this range are a bit limited but I would say they are quite neutral. not too olive but not too pink. 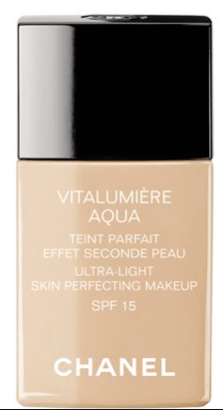 The texture is medium build able with a nice luminous finish, which seems to blur out pores and tiny lines instantly. I liked the texture and if the colour was a little more yellow I would have put this as one of if not my favourite! 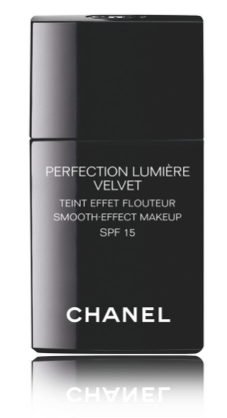 This is the newest addition to the Chanel Foundation Family. The colours are very ‘beige’ and neutral as the name suggests and so didn’t match my skin that brilliantly but the texture was nice. 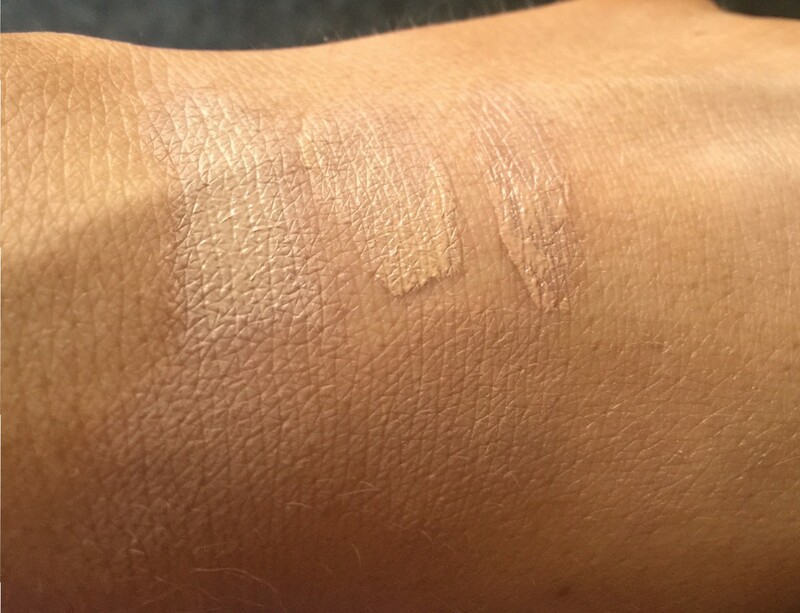 Its a light to medium coverage with a very natural skin finish. 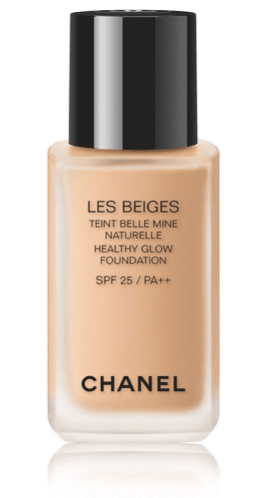 Again like the standard Les Beiges, the colours are fairly neutral – but the texture is so light and natural its a real winner for a natural looking glow. The texture is almost like a runny bb cream or tinted moisturiser, a little bit runnier than Vitalumiere aqua which would probably be its nearest in texture, and would be great for holidays! 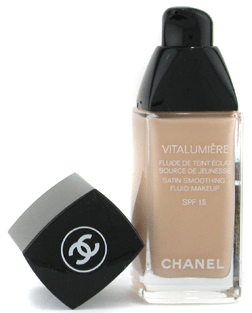 For me all the foundations go on best with either a beauty blender or a dense buffing brush, Chanel do a liquid/powder foundation brush, which although the angles I find are slightly sharpe ( not literally) and cut off ( I’d prefer it tapered) buffs on the products amazingly to an airbrush finish!